Ashwood Nurseries – traditional plant nursery. We are a traditional plant nursery and garden centre in the West Midlands, situated in a canal-side setting in lovely open countryside. Many gardeners come here for the day and don’t want to leave! You can find inspiration in our beautifully maintained plant sales areas and glasshouses. 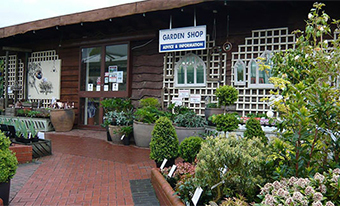 Wander through the garden shop and, if you need some friendly advice, the experienced Ashwood team are on hand to help. 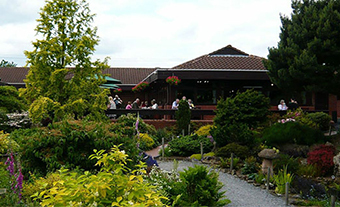 There’s a rather special gift shop and a delightful tea room overlooking attractive landscaped gardens. Everything, in fact, to make a perfect day out! A growing passion. Plants are our passion and we offer one of the finest selections in the UK. Ashwood’s speciality plants have won international acclaim. And our award-winning hellebores are regarded as ‘simply the best’ strains ever produced. But the story doesn’t end there… our plant breeders and growers have worked the same magic on hepaticas, hardy cyclamen, hydrangeas, conifers, snowdrops, lewisias, salvias, and Primula auricula. Online shop. 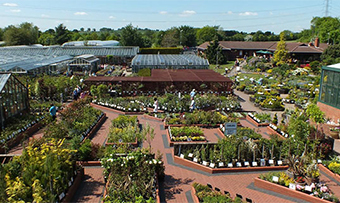 Ashwood Nurseries is traditional working plant nursery and garden centre situated in a rural location. Furthermore, many of the plants on offer are grown on the premises. Admission to the centre and car parking are free.We are open throughout the year with ample parking on site and easy access to facilities for the disabled. Our friendly staff have a wealth of experience, and are able to offer free advice on all horticultural topics. So welcome to Ashwood Nurseries – traditional plant nursery.